Deep sea fishing is a fun and interesting activity that involves fishes and water. To make it even more exciting you need to equip yourself with the best fishing tool. The adventure of catching a marlin is exceptional. But, there are various other types of fish in the sea also. Some will feed on the bottom, other in the surf while others in the shallows. It's because of this why choosing the best deep sea fishing reel is important. Below are 5 of the popular brands when it comes to fishing reels. The KastKing Rover Round Reel is designed by fishing experts and they made it ergonomically for comfortable and easy use. It has a non-slip handle to prevent your hand from slipping when holding it. It is also designed in a way that reduces fatigue, which makes it comfortable for extended fishing trips. The fishing reels are reinforced by anodized aluminum side plates and spool. This powerful reel features a robust carbon fiber drag system with a maximum drag of 9 kg of weight. When subjected to heavy loads the fishing reel does not break or get damaged. The amount of drag weight this fishing reel can provide is much more as compared to other brands. Its drag system is stronger and more powerful as compared to its past versions. When it comes to casting controls, this brand features a centrifugal brake that lets you control the speed of the bait. The brake is very helpful when dealing with big fish. The KastKing Rover applies centrifugal brake system which provides even and constant pressure on the cast. The ball bearings of this brand feature premium shielded stainless steel for smooth fishing operations. They come in various sizes and are placed in movable parts. The KastKing rover has 6 + 1 ball bearings on size 40 and 60, and 4 + 1 on 70 or 90 sizes. The Penn Squall Level Wind reels are quite impressive. These pragmatic reels are some of the best and it is priced reasonably. 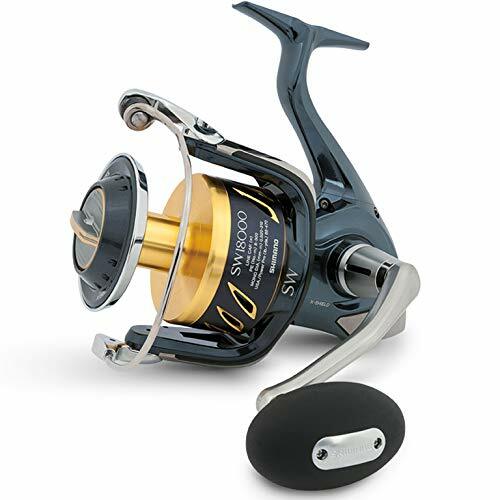 This fishing reel provides exceptional performance in a variety of saltwater. Penn Squall is durable lightweight graphite designed to provide exceptional reliability without putting a lot of bulk on your rod. The fishing reel has HT-100 carbon fiber drag system provides a great combination of smoothness and power, which makes it easy for anglers to deal with saltwater gamefish. And with its Versa-handle feature, the saltwater fishing reel enables anglers to easily adjust the length of the handle to fit each situation. The Squall Level Wind remains cool and supple even if you subject it under heavy load, which gives you the power and firmness needed to subdue various type of pulling fishes. This drag system uses both sides of each drag washer to provide forceful but smooth drag within the drag curve. Also, each drag washer is treated with grease to make sure it will always perform at its best. Penn Squall is very versatile and can adapt to different angling situations. Its Versa-Handle system makes changing the length of the handle easy. You can customize the rod depending on the techniques and baits the one is using. To make the needed changes easy, the reel has all the tools required for handle adjustment. 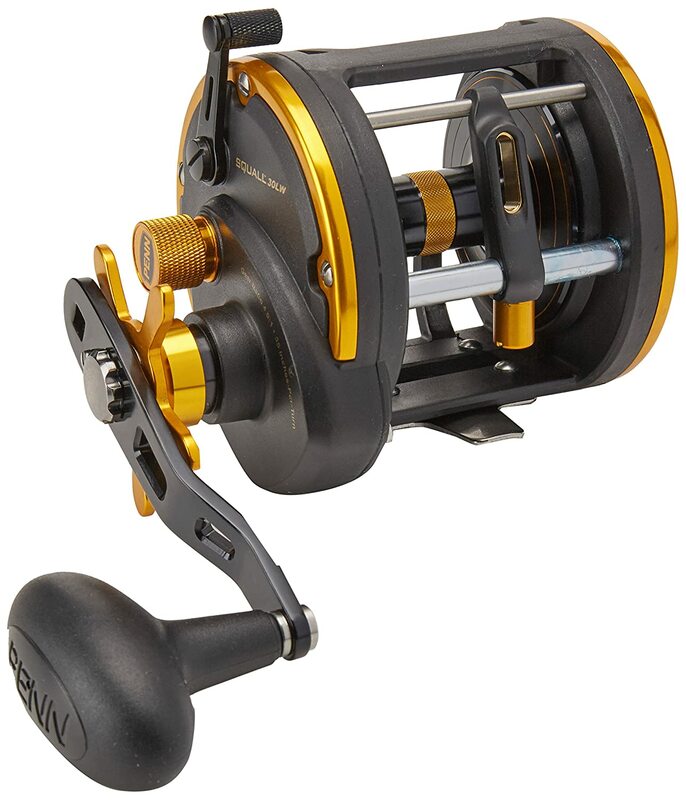 This fishing reel is designed and made in the USA with imported and domestic components. The Penn International VUS 2 is precision machined from lightweight, high-strength, aircraft grade aluminum. The Penn International VIS fishing reel is the 6th generation from Penn Fishing Reels designed on the same way as the tried and tested durable high-quality reels. The Dura-Drag may result in a better start up and gets rid of doubts, even under great drag situations. This fishing reel has a lot of quality new features. Penn is designed as tough as a rock. It is the best combination of durability, weight, power, and strength. The brand is focused on precise machining for improved play/slop operation. This new design is stronger and lighter. When it comes to drag operation, this product stands out from the rest with its Penn’s exclusive Versa-Strike. It is an adjustable strike stop. The latest with this brand is that it allows customizing of the reel’s strike position to match the angling preferences. The handle arm and grip new design is also impressive. It has a great ergonomic knob for comfortable fishing grip. Its two-speed shift was also enhanced which makes shifting gears fast and easy. The Penn Spinfisher features IPX5 sealing which makes it very durable even when the wave hit it. You also don’t have to worry about the saltwater getting into the drag system or gearbox because of its corrosion-free feature. The HT-100 drag washer is enclosed in a completely sealed spool to provide the stopping power that the big saltwater fish required. For angler that wants to get into action like fishing from a kayak or on their favorite surf spot, then you should consider buying the Spinifisher V. This spinning reel can withstand the test of time, even if you use it several times within a month. This Penn Spinfisher is a good choice. The reel is designed to last longer so even if you forgot to clean it after use doesn’t worry it won’t ware easily. 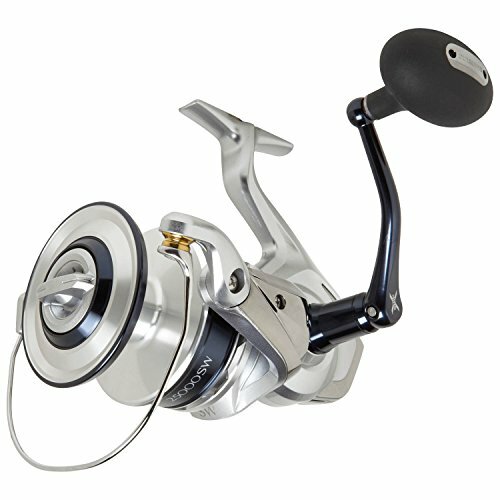 This fishing reel offers a full metal body which will provide a good backbone for the entire reel. For those who want to fish with live baits, the Penn Spinfisher V comes with live liner version. The Techno-balanced rotor is engineered to provide a smooth retrieve. This feature is common to most fishing gear under the Penn brand. The Okuma Azores take the fishing adventure into an entirely new level. Adding new features and technology, they are known for its superior fishing experience along with their exceptional durability and robustness. The design of this fishing reel focuses on advanced performance and power. It is specially designed primarily for saltwater fishing and they have great features like sleek die-cast aluminum body to make sure it is protected against corrosion and prevent the flow of electrolysis. Okuma Azores also have a lovely rotor designed and side plate, a 6mm spool shaft made of stainless steels, machined cut pinion gears and 8mm spool shaft sleeve made of forged brass. This fishing gear also features an extraordinary dual force drag system that produces around 14-24 kg of drag pressure. Its drag system uses of a traditional top drag stack with an big carbonite drag washer below the spool. This will help boost the high-end drag output as well as spool stability. Which makes this fishing pool perfect for various heavy tackle conditions while fishing on saltwater. 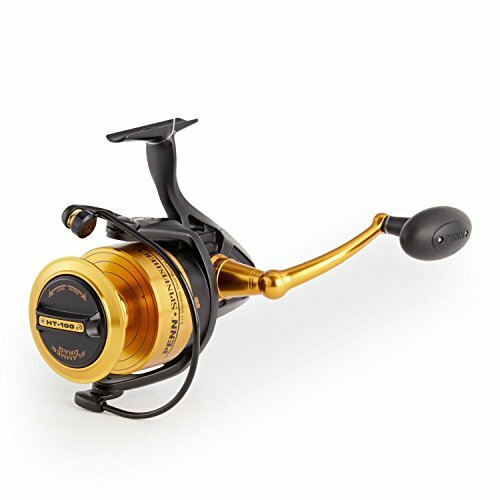 This fishing reel contains six models for fishing enthusiasts who prefer to go on 5000 up to 25000 reels. The maximum drag settings are the main feature of Saragosa reels and range from 22 to 44 pounds. One of its popular features is the Shimano X- Ship technology enhances the casting and supports both ends of the pinion tool. This technology keeps precision gearing under the heaviest of loads. Another unique feature of Shimano is its X-touch drag system that provides a waterproof system engineered to withstand the high-speed run of marlin or tuna. This gear offers 22 to 44 pounds the max drag. The Hagane gear system works together with the Hagane Body of this fishing reel. It's gear teeth shape and design can survive the continued use and the abuse. The major factor that lets the Saragosa reels perform at its best in spite of being under heavy stress. The Shimano X-rigid gear is stronger, bigger and makes use of the same technology as the most expensive reel does. With waterproof drag and 5 shielded anti-rust bearings. It has Super Stopper II anti-reverse bearing. The first thing you will notice with Shimano Stella SWB is its very durable design. 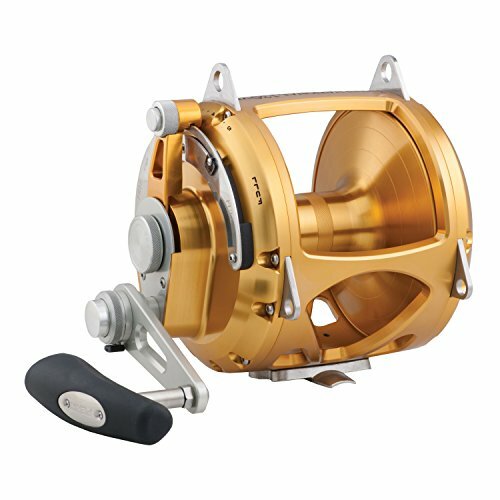 This reel has rigid metal and aluminum parts to ensure the users of impact-resistant and no flexing. Aside from being durable, the body lets you transfer power to the line effectively. Shimano Stella SWB is made of tough materials that will surely last longer. The build quality also has a vital role. One of the features of this brand is its capability to repel water and water channeling labyrinth design to keep water away from the reel’s body. Shimano combines a water-channeling labyrinth design and a water-repellent coating to keep the water away from the reel’s parts. And because of this Stella SWB fishing reel can be used safely in saltwater. Its seamless action is yet another feature that one should not ignore. Its drive gear has 3D design and then cold forged to make sure it can perform at its best longer. It does not really matter how the gears have been made. What is important is how it performs. The reel size will determine how much fishing line can fit the spool. It can affect the depths you are interested to troll in. If your chosen fish goes to a deeper part of the ocean, it is best that you buy a line counter reel which has enough space to house the appropriate fishing line. Line counter reels are the preferred option for trolling reels, make sure that your reel has a level wind system. It is the best way to ensure that the fishing line remains secure when trolling and it will not slip out from the reel because of the wind or boat’s movement. In selecting a deep sea fishing real it is important that you consider the type of species you intend to catch. Choosing the right fishing reel will be much easier if you know what species you will be targeting. You don’t have to spend more on a reel that is corrosion-free if you are not planning to fish on saltwater or the brackish environment. It does not matter if you are going after big freshwater species or blue water species, you need a longer line and a drag that will hold it. a) What are the different types of fishing reel? The popular type of fishing reels are baitcasting reels, surf fishing reels, centerpin reels, spincast reels, fly fishing reels, trolling reels, offshore reels and spinning reels. b) What is fishing reel size? The fishing reel size will depend on the type of the fishing rood. 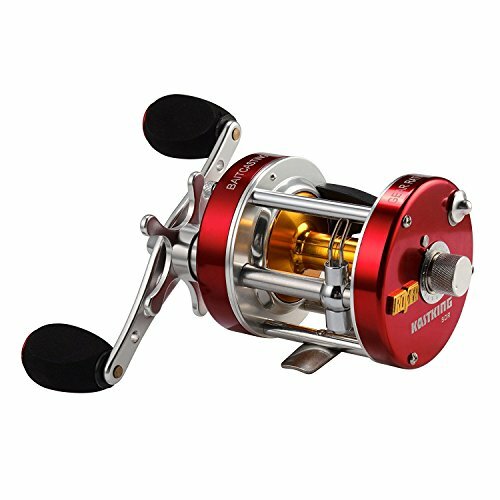 A 1000 or 10 sized spinning reel is very small can be paired with 6-7 foot rod with fishing line rating of between 1-4kg. c) What do the numbers mean on fishing reel? The number on fishing reel matches the line size that you plan to use. So, if we talk about spinning reels, gear ratio pertains to the number of time the bail rotates on the spool when you turn the reel handle. 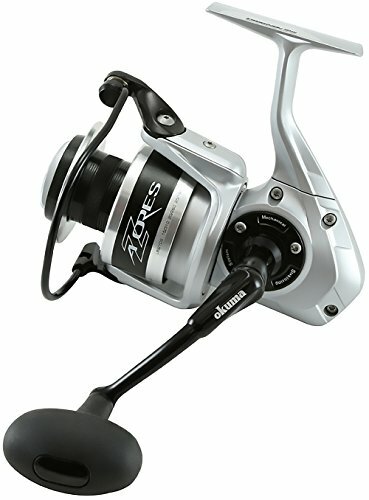 d) Does a fishing reel with many bearings works better? Basically a fishing reel with more ball bearings works better. But there are some high-end reels with less bearings and can still perform at its best. We highly recommend is the KastKing Rover Round Baitcasting Reel. Because it is very effective in catching fish but also durable enough to withstand the test of time. This fishing reel is very efficient in catching fish even on the deepest part of the sea. Its drag system and ball bearings are reliable so you will not have any problem while fishing. If you find this post helpful to you feel free to share this with others or you can comment below.